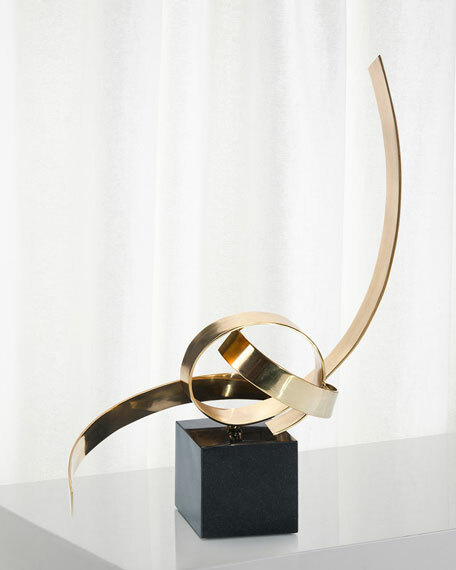 The perfect accent is found in this polished brass ribbon sculpture standing on a black marble base. This would be the perfect accessory to dress an open book shelf. For in-store inquiries, use sku #2543012.